and just to make things extra jolly this season, why not come to Cape May and enjoy one of our many wine events. 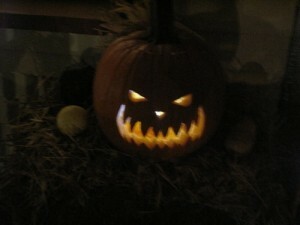 Guests of The Bacchus Inn B&B will have a choice of several different events taking place this season. There is the ever-popular “SELF-GUIDED Wine Trail” taking place daily from 11/18 – 1/1 (no tours 12/24 & 12/25). If you are interested in immersing yourself in a wine-filled weekend, consider the “Cape May Wine Weekend” which includes a wine tasting dinner, a winery cellar tour, and a wine class during the weekend of 12/9-12/11. You will need to reserve early for the “Cape May Wine Trail” tour, tasting, and lunch event because it offers limited availability and is taking place on 11/19 and 12/30 only. Additionally, the Mad Batter restaurant is hosting a five-course “Wine Dinner” on 12/9, seating is limited, so reserve early. 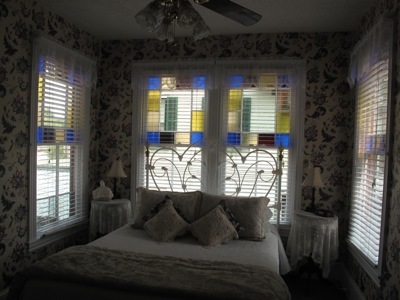 For overnight accommodations, contact John & Lisa at The Bacchus Inn Bed and Breakfast – (609)-884-2129 or reserve your getaway on-line. 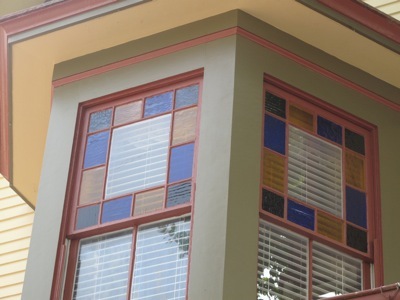 Anyone who visits Cape May will agree that it offers a colorful glimpse into our nation’s history. Cape May has a rich history that spans several notable events from the landing of the dutch ship that carried Captain Mey to when our little city at the southern most tip of New Jersey became an island during World War II. A major part of Cape May’s history is rooted in military service. So on Memorial Day weekend, when we honor fallen soldiers who fought for our nation, it is appropriate to talk about a few attractions here in Cape May. Cape May is fortunate to have Mid Atlantic Center for the Arts or MAC. 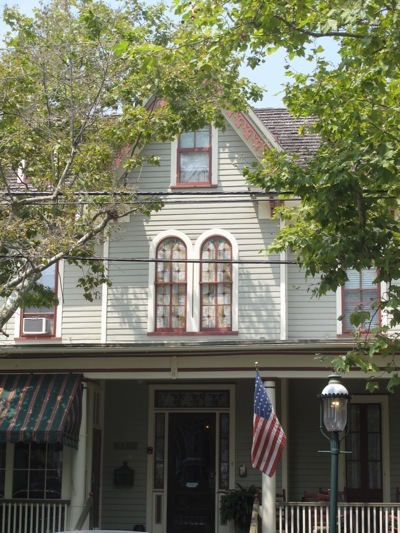 MAC offers guests of our Bed and Breakfast several World War II inspired tours of Cape May, such as the Friends of World War II Tour and World War II Trolley Tour. 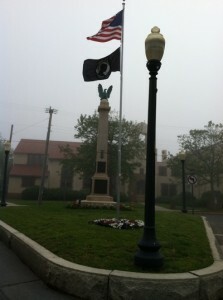 Guests can learn of Cape May’s rich military history on these tours. MAC also partnered with the State of New Jersey to renovate the World War II Lookout Tower at Cape May Point. The Cape May Lookout Tower offers guests the opportunity to enter and explore a piece of WW II history. The World War II Lookout Tower is lined with images of veterans. It is a WW II lookout tower first but also a special memorial for veterans. Guests of The Bacchus Inn Bed & Breakfast consistently say the World War II lookout tower is well worth visiting. Cape May offers two services on Memorial Day weekend. One happens all season long the other for the Memorial Day holiday in Cape May. Sunset Beach at Cape May Point State Park flies a different veteran’s casket flag daily throughout the season. This modest ceremony takes place at sunset when the flag is then lowered as the sun sets along with a recording of “God Bless America” playing at the same time. The Memorial Day ceremony on Monday in Cape May is a more formal event taking place at the Columbia Ave Veterans monument. Dignitaries will say a few words and a representative from the VFW Post speaks as well. Vacationers are encourage to attend the Cape May Memorial Day events and to take a tour to learn more about Cape May’s military history.